When we turn over our classes to consider current events, we can help our students shift the center of their universe to others. As noted in the current event teaching idea put up to help teachers and students consider the mass shooting in Pittsburgh, "Even as we mourn, we also have to help our students process the week’s events within a safe and supportive learning community. Students need to share their reactions and hear those of their classmates, and with our guidance explore difficult questions about the past, present, and future. If we don’t make time to talk about these events, we risk normalizing them." These discussions, the active seeking of others' experiences and perspectives, is one element of building our students' social-emotional skills, skills which can strengthen their resiliency in the face of challenges large and small. 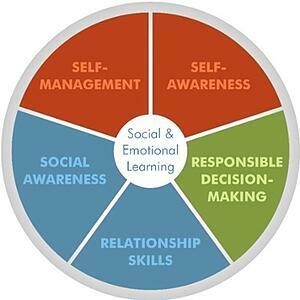 Social and emotional learning (SEL) is the process through which children and adults acquire and effectively apply the knowledge, attitudes, and skills necessary to understand and manage emotions, set and achieve positive goals, feel and show empathy for others, establish and maintain positive relationships, and make responsible decisions. Here's our webinar, with links below for the resources mentioned within it.